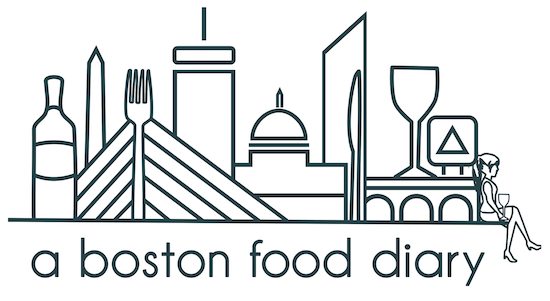 A Boston Food Diary: ABFD's Very First Original Recipe Contest! Big news here at A Boston Food Diary today- we have entered our very first original recipe contest! GatewaytoBoston.com, a great site published by The Westin Copley with tons of fantastic links to all sorts of events and happenings around town, is sponsoring a seafood recipe challenge with Turner Fisheries. They have asked the people of Boston, or Massachusetts, or the Country to enter their favorite Seafood recipes for a chance to have them featured on the menu at Turner Fisheries! My entry is for New England Seafood Salad- a dish incorporating lots of that beautiful seafood we have around here, with fresh herbs, milk boiled potatoes and some of the wonderful flavors of great Clam Chowder! The full entry can be found here: New England Seafood Salad, please check it out, and if you like it- feel free to leave a comment promoting it. Those comments go towards finding a winner!